Spring, Texas – September 12th, 2016: The Texas Department of Transportation’s I-45 HOV lane extension from FM 1960 to South Loop 336 in Conroe still does not have a hard date for opening. Some resources have claimed the lane will open southbound on September 15th and northbound two weeks later; however, Montgomery County Commissioner James Noack has received mixed messages regarding a firm date. Construction started on the project in October 2015 and has taken longer than expected do to unexpected delays. Initially, it was to be finished April of this year. After those delays, the lanes were expected to be completed by June 1st, followed by the end of August. 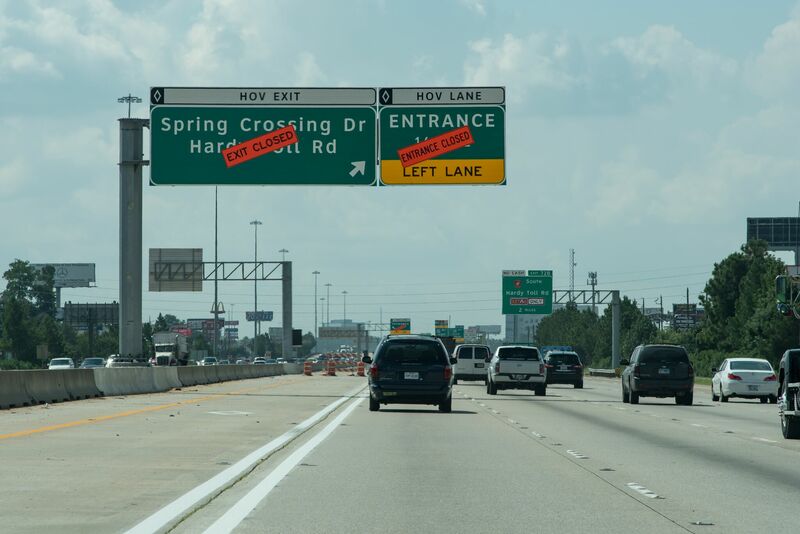 After the 18-mile extension is opened, the Houston area will have 35 straight miles of HOV lanes north of downtown and 14 miles south, from Spring to Conroe. With more than 240,000 vehicles using I-45 north of Harris County daily, the addition of a new HOV lane will be well received. Hopefully, the lane will be open soon so we can all deal with a little less traffic in the Houston area.